Ultimate New iPhone 5 knock-off launches before Apple’s iPhone 5 boasts impressive specification! 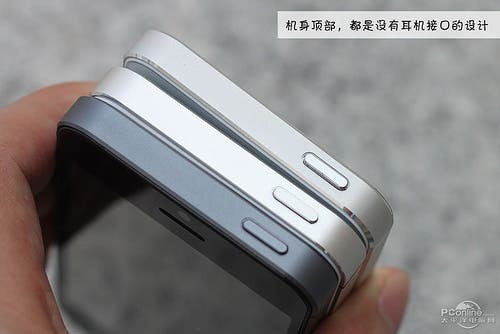 This is not the first knock-off iPhone 5 we have spotted in China, and I’m sure it won’t be the last, but this is one of the first new iPhone 5 clones we have seen which actually look ready to be put in to production and released in stores! 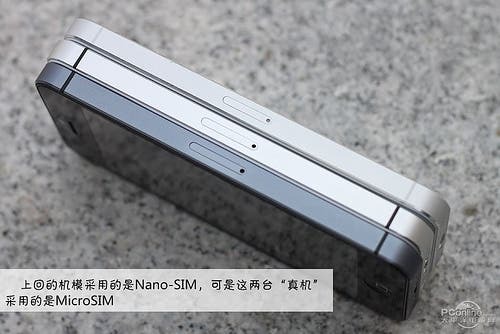 Keep reading for full details and photos of this awesome new iPhone 5 knock-off! 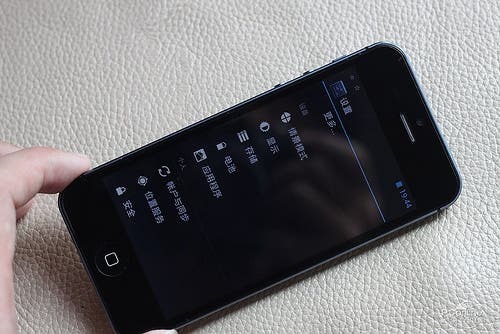 Before I go any further I want to show you the following photos which show this 4 inch screen new iPhone 5 clone running Android ICS, so that you guy’s all know that this phone is the real deal and not some mock-up or dummy iPhone 5 clone. 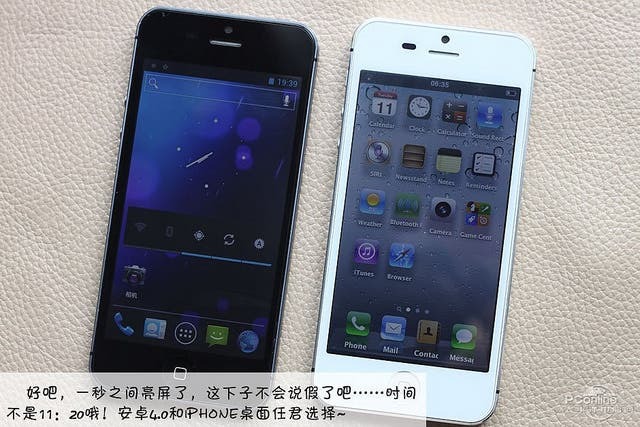 As you can see from the photos here this, as yet to be named, new iPhone 5 clone runs Android 4.0.4 and seems to be available in two flavours. A realist looking iOS skinned Android version which features a near accurate clone of the real iPhone camera App and even boast the same multi-tasking manager upon double pressing the home button. And a vanilla ICS version which has all the same Android Ice-cream sandwich features as the iOS skinned ROM but with the stock Google look. The developers of this clone have even managed to build in their own version of the popular Siri personal voice assistant! On to the design of this excellent new iPhone 5 clone and we can see that the Chinese manufacturer behind this knock-off has really done their homework! 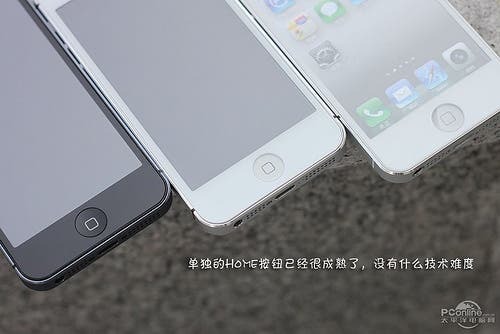 The top of the fake iPhone features nothing but the power button, much like we expect the real iPhone 5 to look like. While the bottom of the phone has the relocated 3.5mm headphone jack, mini dock connector and large speaker grills we’ve seen so many times over the past few weeks. 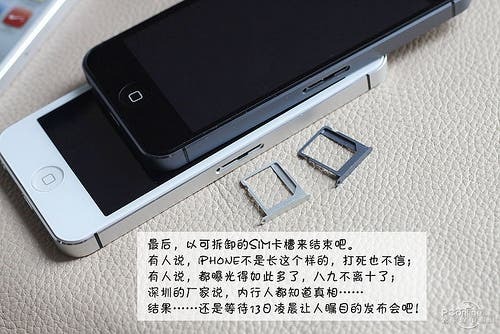 Not everything on this new iPhone clone is the same as the leaked iPhone 5 specs though, as the face iPhone 5 here gets a micro SIM card tray much like the iPhone 4S, rather than the rumored nano SIM we expect the real iPhone 5 to sport when it is launched later today. 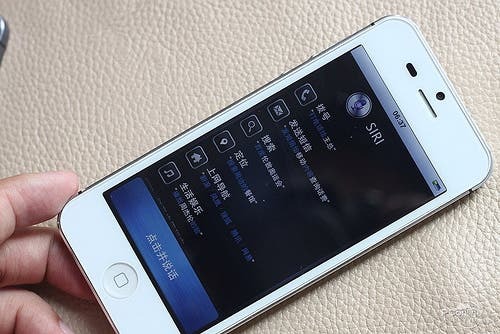 We’re not sure what this fake new iPhone 5 is packing under the hood, but if current Chinese Android phone specifications are anything to go by then this knock off Apple iPhone will probably have a dual-core MTK MT6577 CPU (or possibly even a quad-core Tegra 3 chip), 1GB RAM, 4GB +ROM, an 8 mega-pixel rear camera and a 2 or 3 mega-pixel front camera! We also have no idea of the price or when this knock off iPhone 5 will be released but rest assured that you will get the news on Gizchina first! GooPhone i5 new iPhone 5 clone. 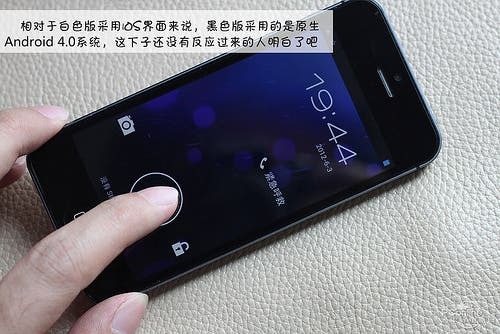 Previous New Meizu M040 Benchmarks Leaked! 14122 on AnTuTu with 1Ghz CPU! Next Is this the next generation Meizu M040 Android phone from China?